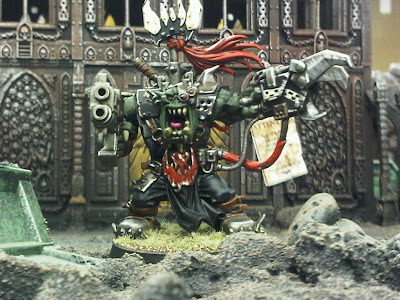 Okay I think I have gone totally crazy and I will be adding another army to the Moto Challenge 2012 this month with Orks. 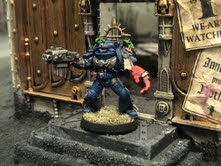 Painting Crimson fist has awoken the green monster inside and I will try to paint a Goff Ork Army. I will post more about my army list but for now I wanted to ensure that I scored 2 golds! By March 1st Rik and I will launch Distant Battlegrounds Painting Service.. More details are on the way! 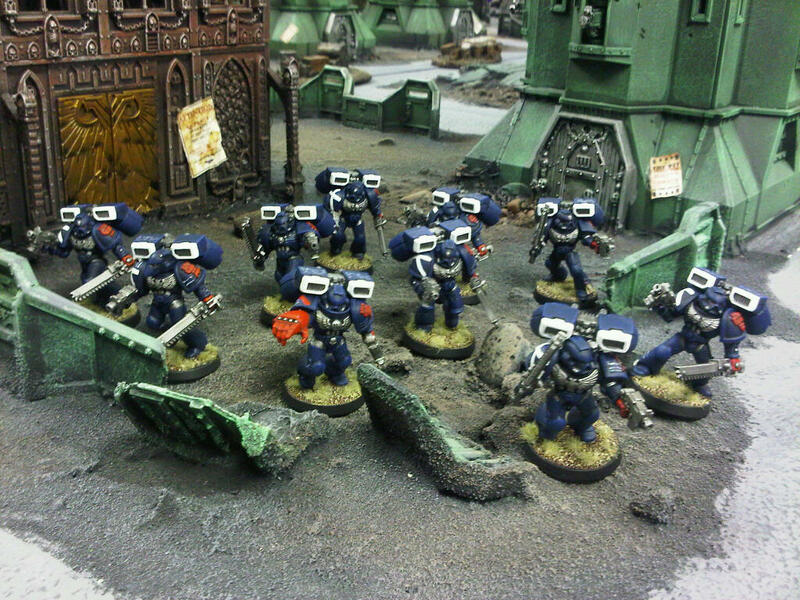 I completed the foundation to most Space Marine armies, the Tactical Squad. I really need to make an army list for the Crimson Fist army. Right now I'm painting models that ignite the creative spark. 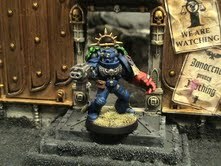 My mission is to have an army list done by this weekend and I will post it up. 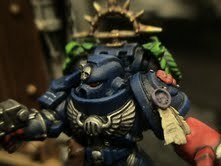 PS I have encountered a slight problem with painting Crimson Fist. I know have the itch to play Orks and already bought a Nobz box. This is going to be one hell of a hobby year! I got a silver for January. My mission is to get a gold for February and I have already started on my Tactical squad! With 2 weeks to spare I got Kantor done. I'm also 95% done on two 10x man tactical squads. For all the Bootas who waged your money against me, start getting your money ready! Well it is that time of the year. Time for all of us to make hobby resolutions that we can never live up to and persist to lie to ourselves that we can get them done. 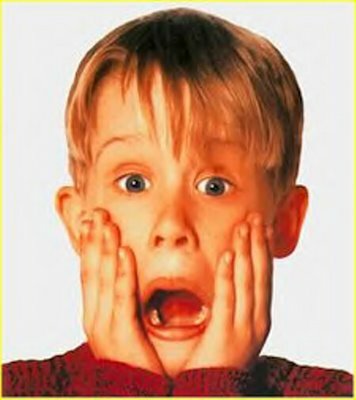 I have already tapped out of one Moto Challenge and I refuse to do it again. the Freebootas have started taking bets as too when I will tap out. Sorry to burst your bubble Bootas, but I will get this done this year. 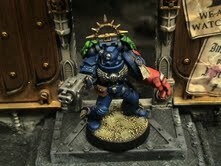 I will do Crimson Fist and add units as I go. I'm trying to avoid structure and paint what I think is cool within the structure of the Moto challenge 2012. Above is a pick form lunch, the model is a scratch built Kantor and my HQ choice for January.